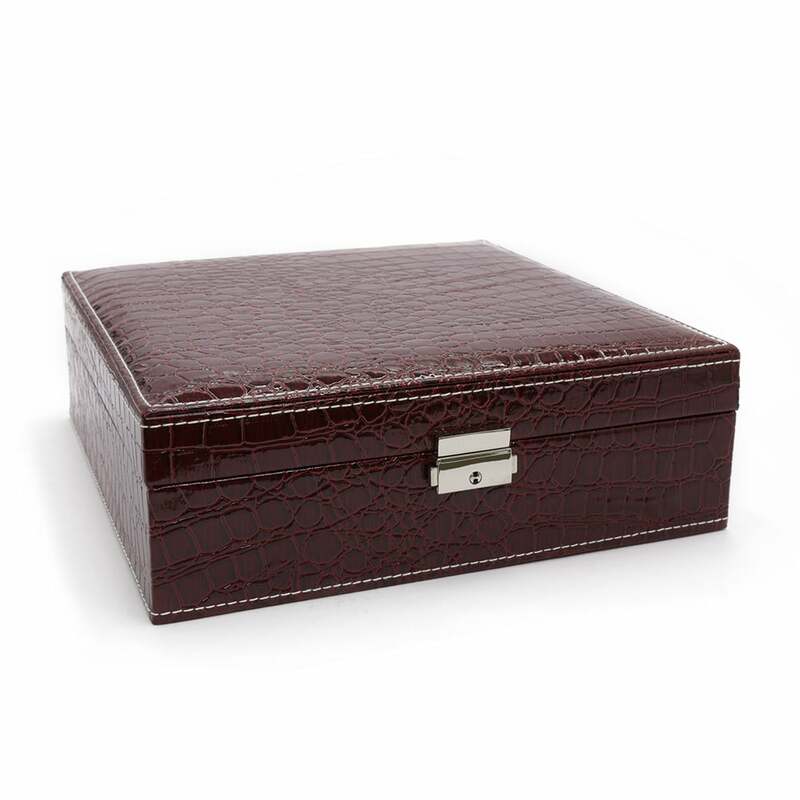 This Wine Red Crocodile Textured Jewellery Box is an elegant and practical way to store all of your jewellery and valuables. 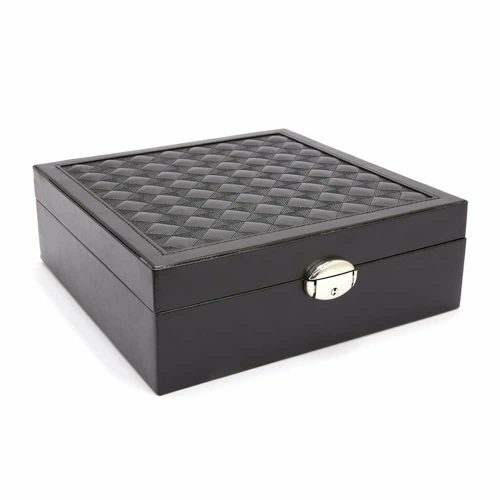 It has a silver lock and key to ensure your valuables are secure and safe. 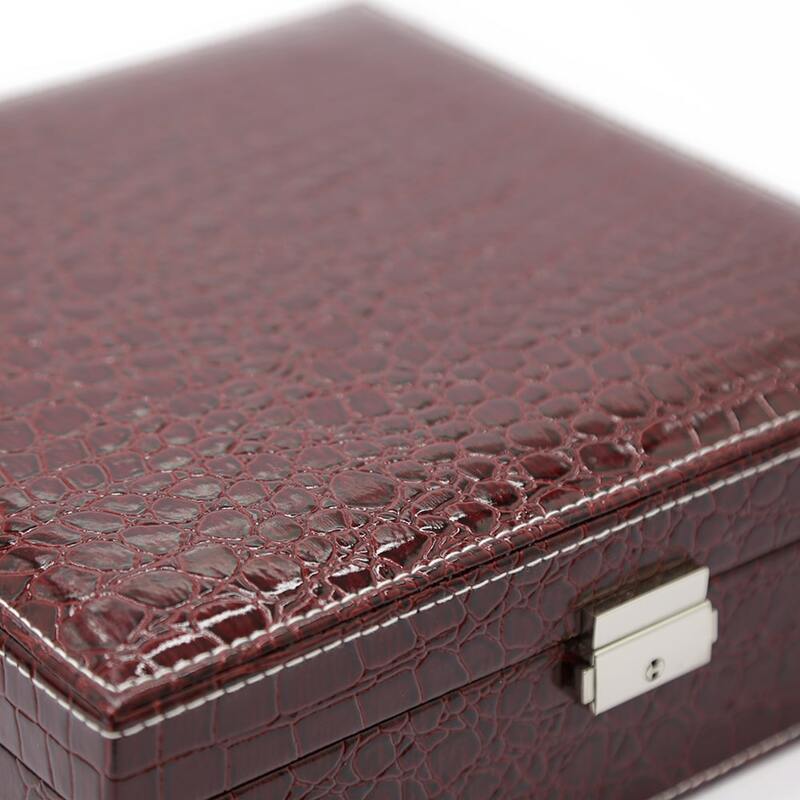 The exterior of the box has a beautiful crocodile texture in a wine red with white stitching, while the interior has a stunning light pink velvet look. 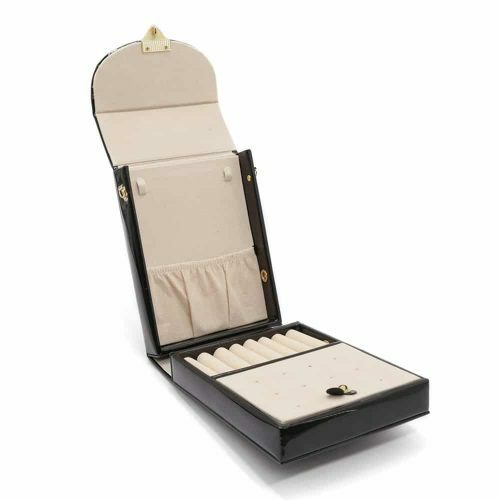 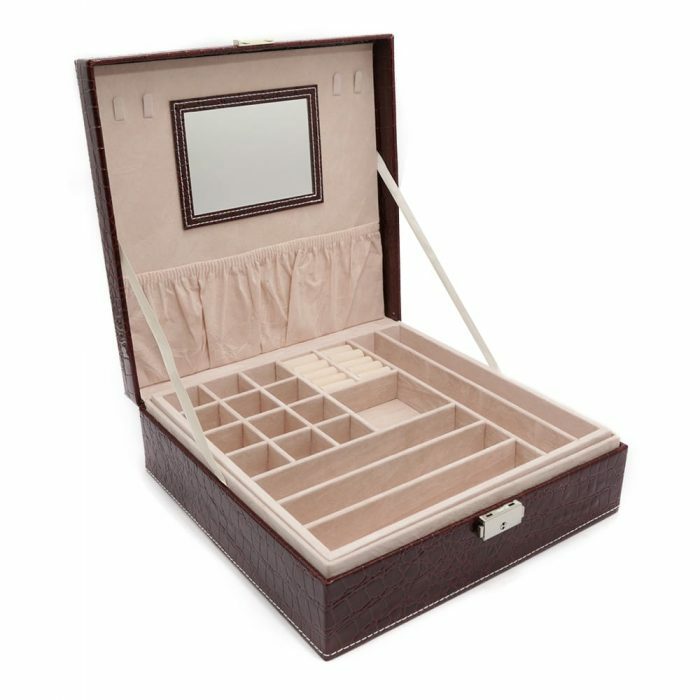 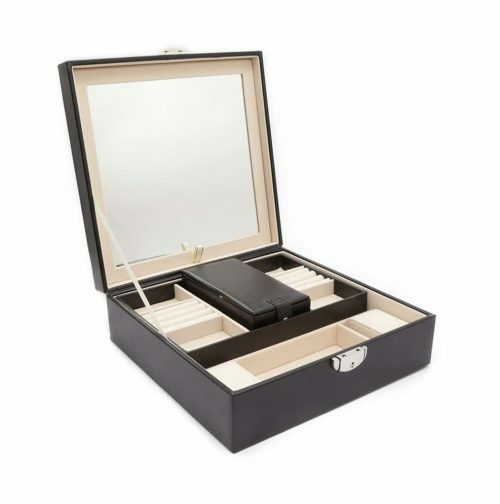 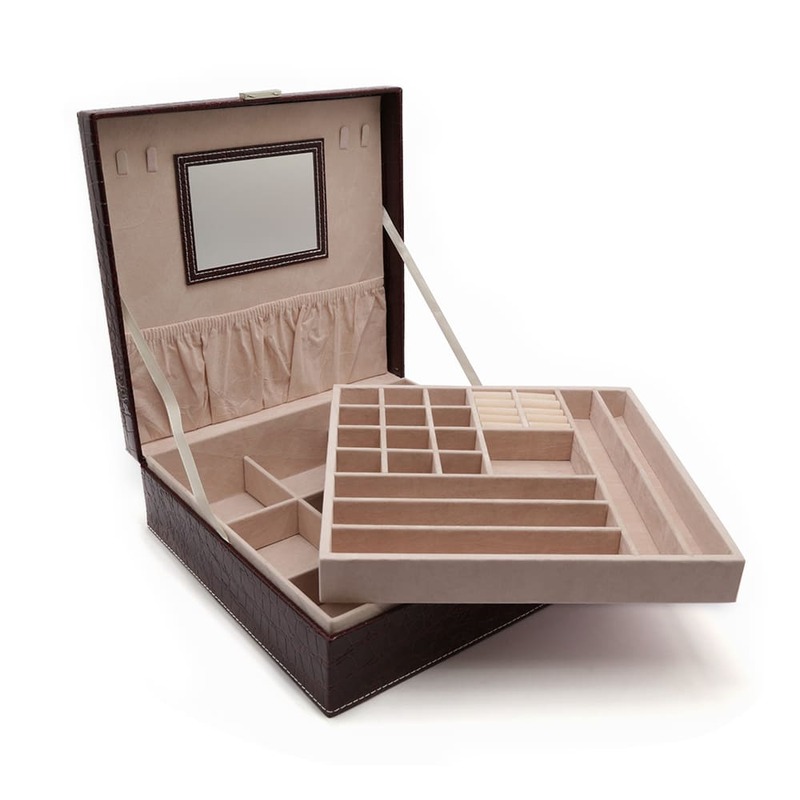 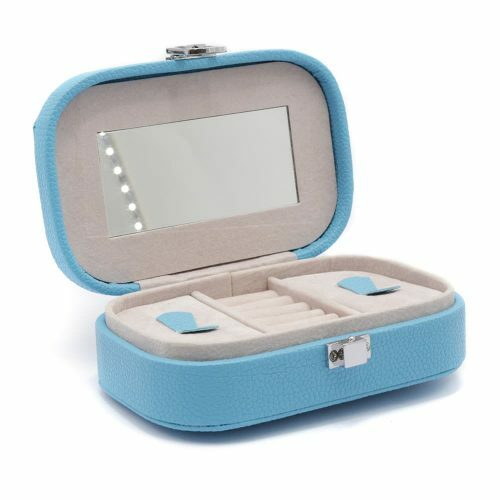 This box has a large mirror and clips on either side to secure your jewellery while travelling. 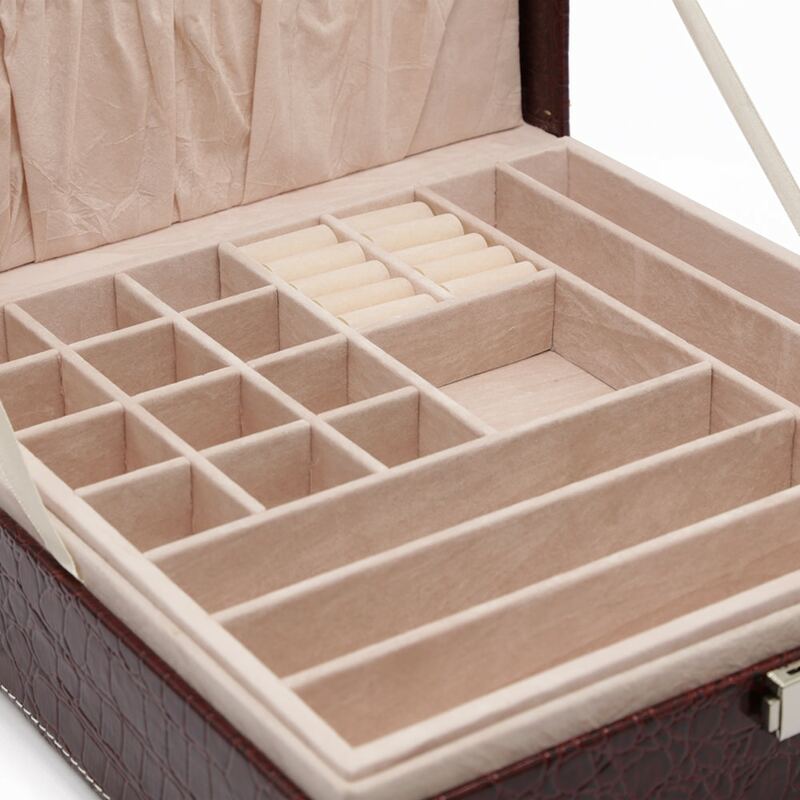 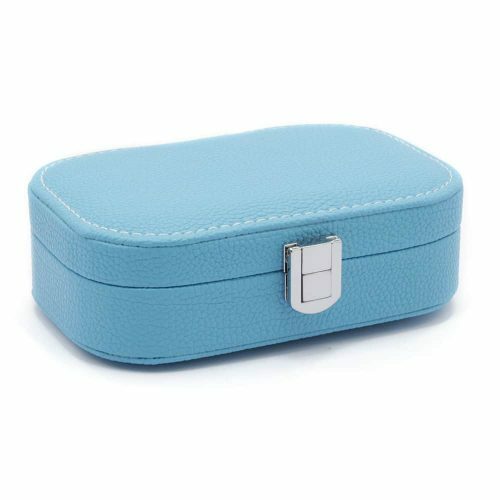 It has 20 different sized compartments to store your rings, bracelets, necklaces, earrings or other valuables you may desire. You can also remove the top layer to access 9 other large hidden compartments to store your valuables.